It’s very common for a woman to experience postpartum blue in the aftermath of delivery. They may experience mood swings, depression, weepiness, sadness, irritability, anxiety, lack of concentration and feelings of dependency. The emotional roller-coaster during the first week after giving birth is often referred to as "baby blues" and may be attributed to the fact that during pregnancy, levels of estrogen and progesterone are highly elevated, yet within 24 hours of childbirth, those levels decrease about 1000-fold. The tears and anxiousness in the first week is considered normal. Unlike the common "baby blues", in some women symptoms can last longer than two weeks or start later - this often indicates postpartum depression. Postnatal depression (PPD) is a more severe condition with increased severity and duration of symptoms. In fact, 1 in every 10 women experience postpartum depression within a year of giving birth. It typically emerges over the first 2-3 months after childbirth but may occur at any point after delivery. Delayed postnatal depression can also occur with symptoms that begin a year or up to eighteen months after delivery, particularly during the time of hormonal changes, such as weaning. Undiagnosed or untreated symptoms may even carry into subsequent pregnancies. Given its symptoms last for more than 2 weeks, it is a serious condition that can have a lasting impact on the mother, infant, and family. However, with support through self-help and therapy most women make a full recovery. Many new mothers can feel desperately alone during this ordeal. Having the right support can help you navigate the way to a healthier and happier postnatal period. New mothers need reassurance that their emotional struggle doesn't indicate their worthiness as a mother but are instead, 'to-be-expected' and treatable symptoms of a common disorder. Restoring sleep is crucial to help in your recovery. Let your husband, partner, family member, night nurse, postpartum doula or babysitter help schedule care for your baby and "sleep shifts" to provide you with at least one episode of uninterrupted sleep each night. This is extremely helpful in reducing symptoms when you are sleep deprived, and often an effective ways to help you feel better. 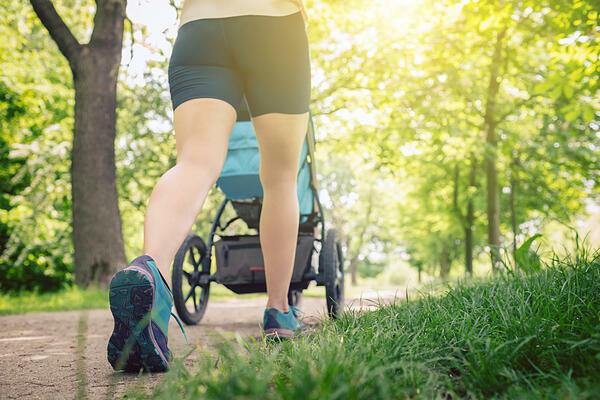 Exercising may seem to be out of character for a new mom, but can actually have an anxiety-reducing benefit and reduce depressive symptoms by increasing energy and metabolising stress hormones. Exercise can also help you focus on a physical outlet instead of getting preoccupied by your thoughts. Start with small, easily achievable goals. Even a 10-minute walk (with the stroller, if necessary) will help you feel better. Build a strong support network and connect with a maternal community support groups with similar experiences in your locality or even online. But, most importantly remember to make time for the things you enjoy. Although public awareness of postpartum depression has increased in recent years, many people still are not aware that pregnant and postpartum women are predisposed to a range of emotional disorders that are not limited to depressive symptoms only. PPD can be very serious and whether you are experiencing depressive, anxious or obsessive-compulsive symptoms, you should not shy away from consulting your health care professional if you are feeling physically and emotionally unbalanced. Usually, your Obstetrician will have the tools to help you during this time. Here, at LUMA, we believe that mothers deserve the best support and resources in their pregnancy journey, in selecting the best delivery facilities in Thailand and receiving proper recovery support. Take a look at our ultimate guide to health insurance in Thailand to help you decide on the suitable health insurance plans as parents-to-be.